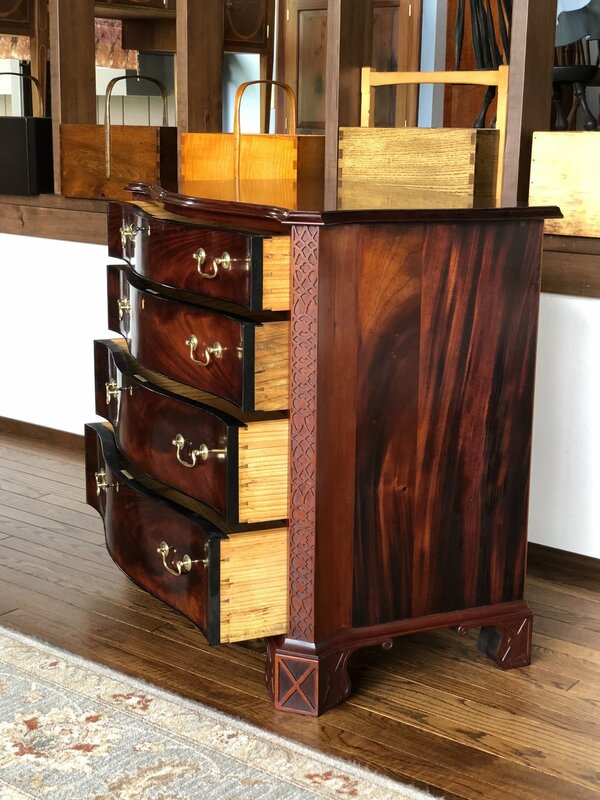 Most of my woodworking projects are reproductions of 17th and 18th century museum pieces, although I have completed a number of Shaker, modern and contemporary designs. Since 2005, each of the projects I’ve worked was started using 3-D modeling in SketchUp. I don’t go to the shop without SketchUp drawings. Pieces are assembled using period joinery and finished using materials such as, oil, shellac, milk paint, and wax. Chairs present an interesting design and construction challenge, with many compound angles. 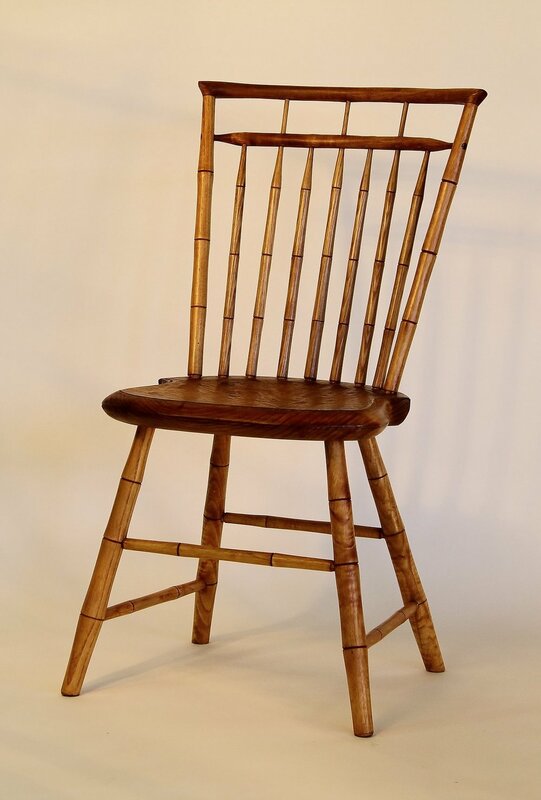 The Windsor chairs also require steam bending of Crest Rails and Bow Backs. Modeling in SketchUp helps manage the awkward angles by defining Sighting Lines and drilling angles. I’ve built more than 80 chairs and benches ranging in many styles and periods. The Windsor styles I’ve SketchUp’ed and constructed include Comb-Back, Low-Back, Fan-Back, Sack-Back, Bow-Back, Continuous-Bow Armchairs, Rod-Backs, Writing Arm, Rocking, Settees, Children’s Chairs, and many Stools. More recently, I completed a classic Queen Anne Side Chair in Walnut. Every component in this chair was shaped, sometimes in all three axes. It would be difficult to find one right-angle in the mix. My table projects include a wide variety of styles, sizes, and uses, from Shaker dining room tables to Chippendale tea, Sheraton Work table, Colonial Williamsburg examples, to the circa 1790 Pembroke Table pictured here. I’ve done several sideboards of Hepplewhite style with typical inlay and crotch veneer decoration. Also I’ve done several Chippendale tripod tables, including piecrust tops. I combined cherry and maple to build a Shaker Tailoress Shop Counter. In addition to tables, I’ve made a number of desks, including standing desks. My main computer desk is a reproduction of George Washington’s desk used in 1789-90 in Federal Hall in New York City. Other styles include 18th C. Drop Front and two Danish Modern writing desks. Everyday, I use a California Contemporary stand-up desk with an accompanying Stool. I’ve made a number of cupboards, highboys and chests of drawers, including the serpentine chest pictured at right. Currently I’m doing a Sheraton Bowed chest of drawers. Shaker styles have been popular in my shop, blanket chests, high cupboards, and chests of drawers. I’ve done William & Mary and Queen Anne highboys. Recently I finished a Pennsylvania Dower Chest with elaborate painted decoration. Our dining room is embellished with an 18th Century Mahogany Bookcase with glass doors and a very large Mahogany Breakfront. One of the more challenging projects was an American Block Front Knee-Hole Desk in mahogany. I’ve made a number of beds, twins, double, queen and king sizes. Styles include Early American 4-Poster Field Bed, Shaker, Pencil-Post, Sheraton 4-Poster, and Loft Beds. 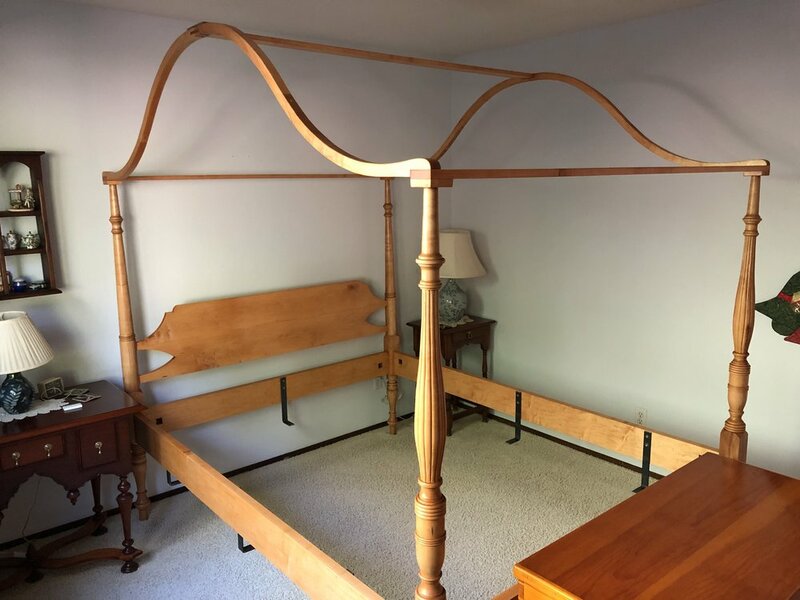 All of these incorporate classic bed-bolt construction for the rails. Not all of my furniture is 17th and 18th century. Here are some more modern pieces, like the Danish Style Lounge Chairs pictured here. At the encouragement of my students, I designed and built several California Contemporary styles, including rockers, an Occasional Chair, stand-up Desk, and accompanying stool.